Eastleigh finished the season with a 1-1 draw at home against Wrexham. Matt Tubbs was on the scoresheet for the Spitfires. EASTLEIGH: Josh Barnes, Chinua Cole, Michael Green, Sam Togwell, Paul Reid (James Constable, 61), Gavin Hoyte, Ben Close, Sam Matthews, Matt Tubbs (Tom Bearwish, 78), Craig McAllister (Scott Wilson, 68), Hakeem Odoffin. Subs (not used): Ayo Obileye, Ben Strevens. Tubbs gives Eastleigh a last-day draw against Wrexham EASTLEIGH rounded off their helter-skelter National League campaign with a 1-1 mid-table draw against Wrexham this afternoon. Having fallen behind at the start of the second half, the Spitfires hit back with a 73rd-minute poacher's finish from Matt Tubbs to ensure they have wound up the season in 15th place. “The players have done brilliant in respect of keeping us in the league." “Some of the performances have not been good enough, but I came back with one remit from the chairman and that was to keep this club in the Conference National." “If my remit had been to play fast-flowing, brilliant football I’d have failed, but we’ve done enough to get the points we needed." “The wins at Chester and Torquay were massive for us and you have to give the players credit for going to those places and winning." “We’ve got players whose contracts are up now and others who’ve got another two years and I’d like to stress that this is a situation I’ve inherited, not created." “We managed our own survival last week but we’ve still got self-pride to play for – and today I didn’t see a lot of that personally." Eastleigh lost 2-0 at Solihull Moors in their final away game of a turbulent season. Richard Hill's side ensured that they would stay in the division with a win against Bromley on Monday. This afternoon it was the hosts' turn to stave off relegation as Solihull Moors netted two first off goals to see off the Spitfires. 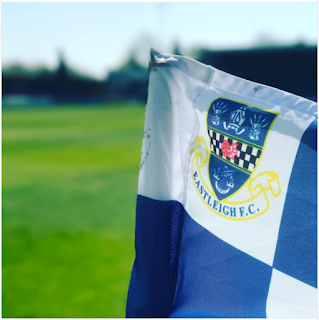 Eastleigh beaten 2-0 at Solihull Moors EASTLEIGH'S final away game of a rollercoaster National League season did not go to plan this afternoon. The Spitfires were well below par in a 2-0 defeat at relegation-battling Solihull Moors having guaranteed themselves top-flight survival last weekend. Eastleigh chairman Stewart Donald has said that he will be guided by director of football Richard Hill with regard to next season's management set-up at the Silverlake Stadium. “The vibe I’ve got from him is that he’d like a go at it, but we have got three candidates that Richard’s happy with, one especially who he thinks can do a very good job," said Donald. “In reality I think Richard would like a year at it – and he probably deserves that. “If he decides to do it, I’ve got confidence that, with the right structure around him, we could be successful. 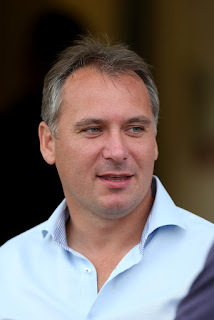 Eastleigh chairman will be "guided" by Hill over manager appointment EASTLEIGH chairman Stewart Donald says he will be guided by director of football Richard Hill about the management set-up for next season. With National League survival finally secured, the Spitfires hierarchy are in discussions about the best direction to take for 2017/18. Watch the goals from Eastleigh's 2-1 win over Bromley. Stewart Donald talks to BBC Radio Solent's Ian Wilding to look ahead to next season and a busy summer for Eastleigh. Goals from Scott Wilson and Sam Matthews sealed a 2-1 home win for the Spitfires against an in-form Bromley side. Eastleigh: Graham Stack, Gavin Hoyte, Michael Green, Sam Togwell, Paul Reid, Adam Dugdale, Sam Matthews (Ayo Obileye, 90) Ben Strevens, Scott Wilson (James Constable, 64), Craig McAllister, Hakeem Odoffin. Subs (not used): Matt Tubbs, Ross Stearn, Nick Hall. Relief all round as Eastleigh are safe at last! Eastleigh 2 Bromley 1. THE relief was palpable around the Silverlake Stadium this afternoon as Eastleigh assured themselves of mathematical survival in the National League. It was mission accomplished for director of football/caretaker manager Richard Hill as goals by Scott Wilson and Sam Matthews clinched a 2-1 win over in-form Bromley to haul the Spitfires over the line with two matches remaining. Video: North Ferriby 2-1 Eastleigh. Richard Hill has urged Eastleigh fans to get behind the team ahead of Monday's home game v Bromley (3pm). The Spitfires boss said: “The end of the season can’t come quickly enough for Eastleigh Football Club and that’s terrible for a club that’s had the successes we have. “But whatever differences the fans have got with any of the players – or with me – I’m asking them to come out and support the team. “The team is the most important thing and everyone, me included, needs to get behind them. “We’ve done amazing to get the points we have and, if we stay up, which I think we will, I don’t want to go into the last game of the season with just a two or three-point gap. “I’ve not come back to be the big ‘I am’, I’m in a position where I have to do what I think is right for the club in the short-term. I can’t have any sentiment at the moment. “We had supporters travel all the way to North Ferriby which I appreciate is not just round the corner. Eastleigh lost for the third game in a row going down 2-1 at relegation-threatened North Ferriby on Good Friday. The Spitfires fell behind to a Robbie Tinkler goal midway through the first half but equalised in the 77th minute through Ross Stearn. Three minutes from time, Reece Thompson netted a winning goal for the hosts. Eastleigh: Stack, Odoffin (Wilson 56), Hoyte, Reid, Dugdale, Green, Togwell, Matthews Constable, McAllister (Obileye 80), Tubbs (Stearn 56). Unused subs: Masterton, Strevens. “Ryan was disappointed I left him out and I fully understand that. I don’t expect players to be happy when they’re left out of the team. “It would be unprofessional of me to make all the details public but, from my point of view, I want players who have been left out to show me they want to get back into the team – and that starts on the training ground. “I’m just the custodian of Eastleigh, trying to do what is best for the club, and I only want players who are going to work their balls off to get into the side. “If that makes me unpopular so be it. I love this club and I will continue to do the best I can for Eastleigh FC in the short-term, middle-term and long-term. "I only want players who want to play for Eastleigh, players who, if they’re not in the team, are prepared to train well and fight for the position. “Ryan’s a good goalkeeper and so is Stacky (Graham Stack). 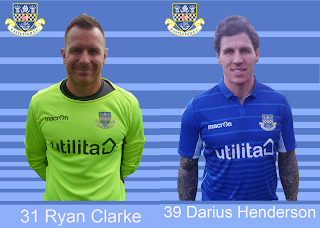 Goalkeeper Ryan Clarke and striker Darius Henderson have left the club by mutual consent. 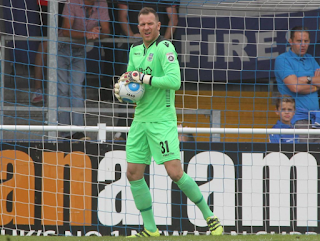 Quotes: Hill: "We didn't deserve to lose to Lincoln"
Quotes from manager Richard Hill and goalkeeper Graham Stack after Eastleigh were unlucky in a narrow defeat against Lincoln City. “I can’t fault the lads today. For long periods we were the better team. “It’s in games like that that you have to take your chances, but I was pleased with the performance from start to finish. It was much improved from last week - it needed to be. “How Lincoln play, they do it very well, but we didn’t deserve to lose. “We created good chances and were really unlucky. Richard Hill's post-match reaction after Eastleigh lose 1-0 at home against league leaders Lincoln City. 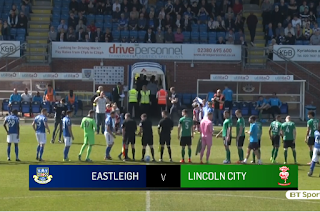 Eastleigh were unlucky in defeat to league leaders Lincoln City at the Silverlake Stadium. Sean Raggett scored the only goal of the game for the visitors with a 77th minute header. Eastleigh: Graham Stack, Michael Green, Sam Togwell, Paul Reid, Adam Dugdale, Gavin Hoyte, Sam Matthews (Matt Tubbs, 72), Ben Close (James Constable, 84), Scott Wilson (Ayo Obileye, 72), Craig McAllister, Hakeem Odoffin. Subs (not used): Chinua Cole, James Constable, Ben Strevens. EASTLEIGH 0 LINCOLN CITY 1: Spitfires so unlucky against league leaders Lincoln Eastleigh 0 Lincoln City 1. IF Lincoln City go on to win the Vanarama National League title, they may well remember this as the day they got off the hook. Matt Tubbs looks ahead to Eastleigh's game against top of the table Lincoln City. Richard Hill looks ahead to Eastleigh's game against top of the table side Lincoln City. Hill said: “It’s a tough game for us, but the lads have trained well and we’ve spoken about needing to get a bit of pride back after a disappointing performance last week. Eastleigh boss Richard Hill salutes his Lincoln City counterpart ahead of big Silverlake showdown ON paper, you wouldn't get many takers for an Eastleigh win over mighty National League leaders Lincoln City at the Silverlake Stadium on Saturday (3pm). But the Imps themselves have shown that anything is possible this season, becoming the first club to fly the non-League flag into the FA Cup quarter-finals in 103 years. Eastleigh boss Hill: "I'll defend the players to the hilt"MUCH as Richard Hill knew yesterday's 4-0 defeat at Dagenham & Redbridge fell short of expectations, the Eastleigh boss has cut his players a bit of slack. While he was first to admit the performance was "nowhere near good enough", he would not let it overshadow the hard work and key results that had gone before it. Richard Hill shares his post-match thoughts after a frustrating afternoon for the Spitfires saw them lose 4-0 at Dagenham & Redbridge. 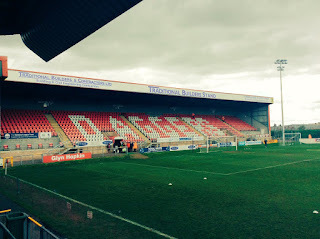 Eastleigh suffered a heavy 4-0 defeat away at Dagenham & Redbridge on a frustrating afternoon for the Spitfires.